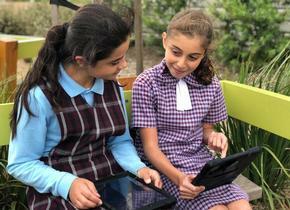 It is our vision at St Lawrence School that students and staff develop a personal relationship with God, while being engaged in a rich learning environment. To live justly, to love tenderly, to serve one another and to walk humbly with our God. At St Lawrence Primary School we strive to develop our relationship with God through positive and inclusive relationships with all members of the school community. We promote a learner-centred approach for all, through good practice informed by feedback, so as to foster life-long learning, critical thinking and civic responsibility.